Please join us on Thursday June 14th for a delicious dinner at Victorio's in North Hollywood. We are excited to host Chris Doolittle from the County of Santa Barbara Public Works. Chris has been working on the Montecito mudslides, road and bridge openings, restoration of infrastructure, mapping and the logistics of mudslide response. 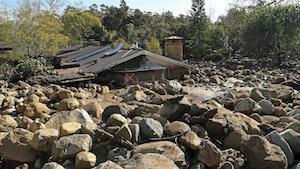 On January 8 and 9, just a month after the Thomas Fire began and subsequently burned much of the area above Montecito and Carpinteria, the South Coast's first major winter storm triggered widespread mudslides and debris flows, destroying dozens of homes and leading to multiple fatalities. During the Thomas Fire Debris Flow within Montecito and surrounding areas, Chris was on one of the first inspection teams sent into the disaster zone to assess the damage, report back on anticipated work, and begin directing construction crews on debris removal activities. He is presenting information on the debris flow event as well as his experiences being directly in the debris removal activities during the event and the continuing activities to repair infrastructure. 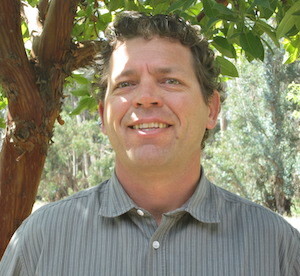 Chris received his Bachelor of Science degree in Geology with an emphasis in engineering and hydrology from the University of California Santa Barbara. He is licensed as a Professional Geologist and Certified Engineering Geologist in the State of California. Chris was awarded the County of Santa Barbara Employee of the Month in August 2015. We are so excited to welcome Gold Construction Services as a sponsor of this event! Thank you and welcome to CalGeo. Hayward Baker will also be in attendance and sponsoring the bar! Woohoo! Contact: Kelly Cabal, [email protected] (949) 391-2436 with any questions.